Firefox phone: image courtesy of Kārlis Dambrāns on Flickr. 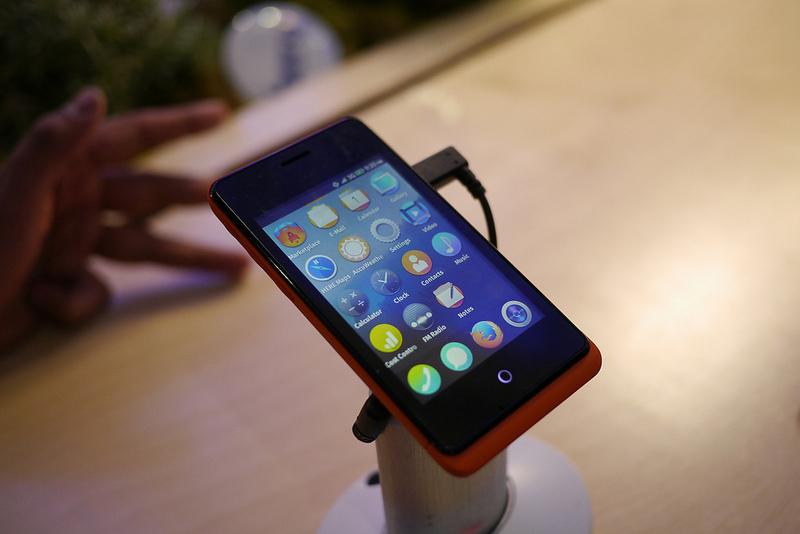 Firefox OS is an interesting player in the mobile market. It focuses on HTML 5 support - making it very accessible to web developers. However, those in the US (and presumably all of North America) might be a little disappointed to hear there are no plans to officially launch the phone there. Mozilla Executive Chair Mitchell Baker has recently said "currently, there are no plans to launch in the US." Mozilla clearly has a different strategy from its competitors. In talking about Firefox OS, Baker stressed the importance of the company's strategy to market to developing countries. Something that the Apple and Google duopoly has missed, she said, is the importance of price. "For most of the world, price is really important. But for us, a $500 phone, how many of us have one," she asked rhetorically. "How many cents you can shave off the bottom of the phone is thedriving factor," she said. Baker views mobile more like traditional computers not a specific OS or platform. She feels this view better represents mobile's potential, particularly its ability to connect to the vast amounts of coming internet data. Just like their popular browser, it appears that Mozilla will impose a similar speedy release cycle on their Firefox OS. According to a Tech Radar article, Mozilla's Manager of Release Management, Alex Keybol, "promised significant quarterly updates to the Firefox mobile OS" - with security updates coming every six-weeks. Mozilla's goal is to outdo its competitors in one area specifically - emerging markets. Firefox OS is scheduled to be released in 16 countries this year, though it will not be coming to the UK or US until 2014. This is not surprising since those markets are already saturated by Android and iOS. Mozilla will likely only move into the US and UK once Firefox OS gains traction the developing world - the reverse strategy of Google and Apple.